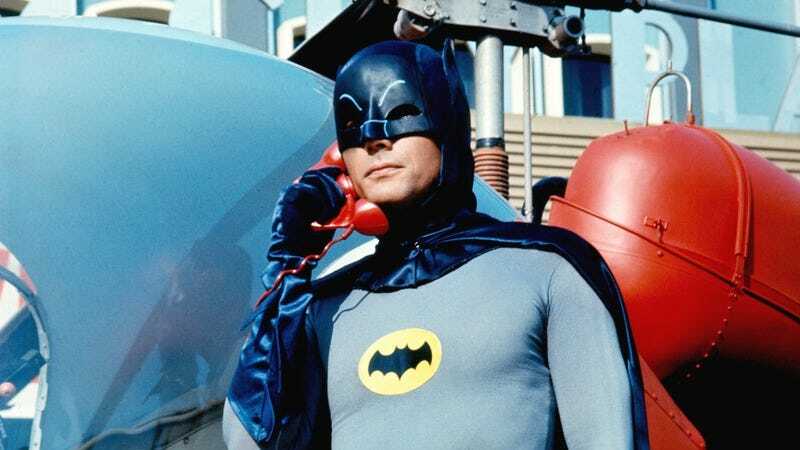 Adam West, TV’s original Batman, has died. Variety reports that the news was confirmed by his manager, who adds that West died after a short battle with leukemia. “Our dad always saw himself as The Bright Knight, and aspired to make a positive impact on his fans’ lives. He was and always will be our hero,” his family says in a statement. He was 88. Born in Walla Walla, Washington, West moved to Hawaii to pursue a TV career after serving in the U.S. Army, where he worked as an announcer on the American Forces Network station. He took on the role of Batman in 1966, after producer William Dozier saw him performing the James Bond-esque spy Captain Q in a Nestle Quik commercial. The show’s campy aesthetic transformed it into an unexpected cultural phenomenon, with some of the highest ratings of any mid-’60s TV series and a spinoff movie released in 1966. In the years after the show ended, though, West found it difficult to find work that didn’t reflect his most famous role, spending much of the 1970s and 1980s working in voiceover or doing in-person appearances as the character. In his 1994 autobiography, Back To The Batcave, he expressed his disappointment at not being able to reprise the character of Batman in Tim Burton’s 1989 movie, even though he was 60 at the time. In the ‘90s, though, West came to embrace his pop-culture icon status, appearing on sitcoms like NewsRadio, The Adventures Of Pete And Pete, and The Drew Carey Show and voicing a homage to his most famous role in the “Beware The Gray Ghost” episode of Batman: The Animated Series. In 1991, he even starred in a now-legendary pilot called Lookwell about a washed-up TV action star who thinks he can solve real-life mysteries, written by Conan O’Brien and Robert Smigel. West spent much of the rest of his career essentially playing “Adam West,” notably with a number of recurring appearances as the mayor of Quahog on Seth MacFarlane’s Family Guy, a role that gave him a new wave of popularity with younger fans. He’s also played versions of himself on The Simpsons in the season four episode ”Mr. Plow,” in a recurring role on The FairlyOddParents, and in a series of videos for Funny Or Die, among dozens of other commercial and guest-starring roles. In 2016, West returned to the role of Bruce Wayne alongside original Robin Burt Ward for the animated film Batman: Return Of The Caped Crusaders. His final role was, perhaps fittingly, as Batman in the followup Batman Vs. Two-Face, which features William Shatner as Two-Face and is due out later this year. West is survived by his wife Marcelle, six children, five grandchildren, and two great-grandchildren.